 This dataset is taken from the 2014 Comprehensive Housing Market Analysis for the City of Austin (available here: http://www.austintexas.gov/sites/default/files/files/NHCD/2014_Comprehensive_Housing_Market_Analysis_-_Document_reduced_for_web.pdf) and documents demographic and housing summary data for each zip code in Austin. The purpose of this data is to provide a snapshot of housing affordability along with indicators of demographic diversity, gentrification, transportation costs, and transit access at the neighborhood level. The appendix of the Housing Market Analysis, which contains this data, can be found here: http://www.austintexas.gov/sites/default/files/files/NHCD/2014_Comprehensive_Housing_Market_Analysis_-_Appendix_reduced_for_web.pdf.